When it comes to migrating to Australia, if you do the research, you’ll know exactly what you need to budget for. Usually it’s the big ticket items – visas, medicals, English tests, skills assessments, agent fees, flights, and shipping are the common expenses associated with moving to Australia. But what about the hidden expenses of moving to Australia? The things you didn’t know you even had to budget for? 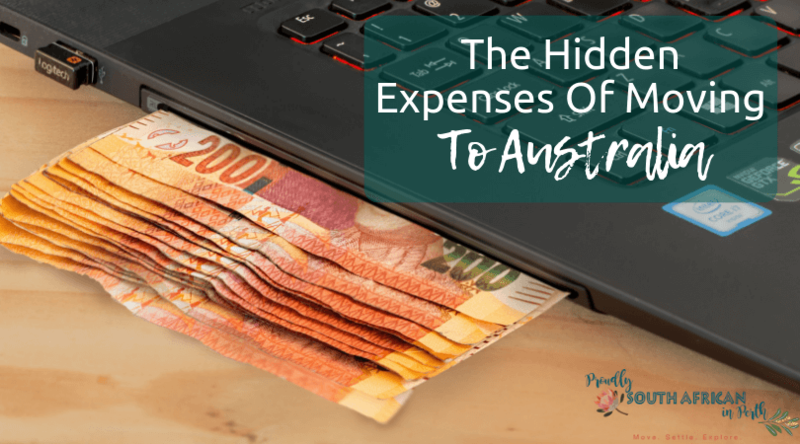 Here are some of the hidden expenses of moving to Australia so you can make sure you plan for them well in advance. If you have a house to sell, don’t forget to factor in selling fees. These could include your estate agent’s fees for selling the property, and depending on what type of mortgage you have, there could be early repayment penalties added to the account. Make sure you know exactly how much equity you have in your home, and what the fees will be to sell it, so you know roughly what amount you’ll have left in your pocket after the house sells. There’s no way around this one – exchange rates are often where you lose out as well. And if you’re using your regular bank to change currencies, you can be sure that the rate won’t be great, and there may also be some hidden charges. If you want to try and keep as many of your hard-earned rands as possible (because we all know what the exchange rate is like these days), use a reputable company to assist you in moving your money from rands to dollars. 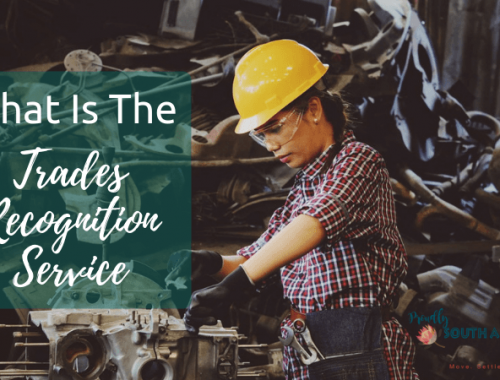 Rand Rescue is one such company (full disclosure – I do work for them if you didn’t already know!). They can often get much better rates than your bank and there are no fees to transfer money with them. Find out more by contacting me now. Not only do you lose a bit of money on the exchange rate, but most, if not all, banks will charge you a fee to RECEIVE your funds in your Australian account. This can range from $5 to $25 and sometimes even more – some banks charge according to the value received and others charge a flat fee no matter how big or small the value. Check with your bank how much they charge for receiving funds from overseas. When you arrive in Australia, you’ll likely need to swap your current driving license for an Australian one. Aussie driving licenses are issued by each state’s transport department. In WA, you have 3 months after moving permanently to change your license from a foreign one to a local one. If you are aged 25 or over and hold a normal South African driving license for a car or motorbike, you can simply do an eye test and swap your license over. No more driving or theory tests required! A new driver license application fee costs $89.15 and the 1-year license is $44.05, and the 5-year license is $149.50 (prices correct as of December 2018). We just got the 1-year license when we arrived to keep costs down, and then after a year, we could afford the 5-year license renewal. Find out more about the cost and process for exchanging your overseas driver’s license for a WA one here. Chances are you’ll be buying a car at some point after you arrive. Perth isn’t the easiest city to get around using only public transport, as the transport lines are fairly restrictive unless you only want to get to the city and live near a train station. Most people budget for a car, or will hope to get some credit soon after arriving to get a car loan. But don’t forget that a car also means car insurance and car registration (or rego, as the Aussies call it). Rego is insanely expensive these days. Our last rego bill was $792 for 12 months. That’s a pretty hefty chunk of cash and when you haven’t budgeted for it in your moving expenses, it can be a blow to your savings. Now it does include third party insurance, but this covers only the other party’s personal injury costs if you’re involved in an accident, or yours if no other driver is negligent. It doesn’t cover anything related to the vehicles at all. Find out all the details of what’s included and what’s not here. Which means you’ll need to get car insurance as well. Make sure you shop around for a good deal on car insurance, as it’s surprising how many different companies charge very different prices for the same level of cover. Need to buy a mobile phone when you arrive? Factor in the cost from day 1 of saving for moving to Australia. This is crucial if your phone is locked, or really old. If it’s locked, try and get it unlocked before you leave – it will be much cheaper than having to buy a new phone. Even if you don’t need a new phone, you’ll need to get a new local sim card and buy some phone minutes and data (airtime to Saffas, top up or recharge to Aussies). Sims can cost as little as $2 each, and you can buy different amounts at a time. An example might be $30 that gets you a certain amount of minutes, free national texts and some data that lasts for 30 days. Some of these allow your unused minutes/data to roll over from one month to the next, and some do not. Read the fine print before picking a phone provider and make sure that you’ll get full value from whichever option you choose. If you’re like me, your first food shop will be a shock. We went to Woolworths and bought 2 bags of shopping and walked away $80 lighter (and that was in 2013!). But it’s because I had no idea what I was buying. I was tired, half jet-lagged, and didn’t recognise anything. Plus I got side-tracked by all the new things I’d never seen so was a bit of a magpie, choosing all the new shiny things for my basket. After a few weeks of sussing it all out and trying different products and shops, I found what we liked and what we could afford, and shopping became much less of a hassle and a shock to the bank account. When you move into your own home though, and out of temporary accommodation, you’ll probably need to do a big food shop. You’ll be buying so many pantry staples from scratch so be prepared for a big food bill when you do a stocking up shop like this. When you move to Australia, you’ve got one year to decide whether to take up private health insurance (medical aid). If you don’t take it up during the first year, if you decide to get private health cover later on, you’ll be slugged with an extra fee called the Lifetime Health Cover loading. This is added to your annual premium making it more expensive. The Lifetime Health Cover loading applies to all Australians who don’t take out private health cover by 1 July following their 31st birthday. It also applies to migrants over age 31, who don’t take out private health cover within 12 months of arriving in Australia. The exact amount of the Lifetime Health Cover loading is based on your age at the time you take out private health cover. Use this handy calculator to work out your own LHC loading. Basically, you need to factor in paying for health insurance within 12 months of arriving if you want to avoid the LHC loading. Costs for health insurance will vary depending on your family makeup, medical history and level of cover required. Basic cover for families can be around $200-300 per month. Got kids at school? You’re going to probably want to get them into a routine and into school as soon as possible. But this won’t be cheap! They’ll need uniforms and stationery, and depending on the school, you might need to pay fees too. Try to work out what the local school will be for you, if you know what area you will be living in, and ask the school for some costs for these items. That way they can go into your planning and you’ll be prepared for them when they become due. When you move from temporary to permanent accommodation, there could be some costs involved. If you’ve accumulated some stuff since arriving, you might need to hire a removalist or a man with a van. Some utilities will add a connection fee to your first bill as well, so make sure you put some money aside for this. Internet providers often do the same and lock you into a 12-24 month contract too. If you want to get pay TV like Foxtel, there can be set up costs for this as well, so make sure you haggle with the sales people to get a good deal. Renting a home also means paying a week or two of rent upfront, plus a bond of 2-4 weeks rent. You’ll also need to think about getting contents insurance to insure all your stuff. Like car insurance and health insurance, shop around for the right cover and a good deal. So now you know what you really need to budget for! But don’t let these hidden costs of moving to Australia put you off. Just be prepared for them and there won’t be any major shocks along the way. 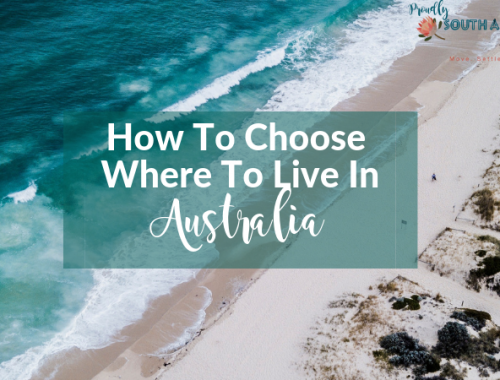 To read more about settling into life in Australia, check out my post on 7 things to do in your first week in Australia, and this one about how to make new friends when you migrate to Australia. Years agao we had a political party in South Africa: the Progressive Federal Party or PFP for short. Now we still have PFP, Pack for Perth. Although I have many friends and family in Perth, I have only been to the airport in Perth but personally I prefer Brisbane. a beautiful city. Hope to live there one day if I can get a visa.